I love upcycling projects and this is an easy one! 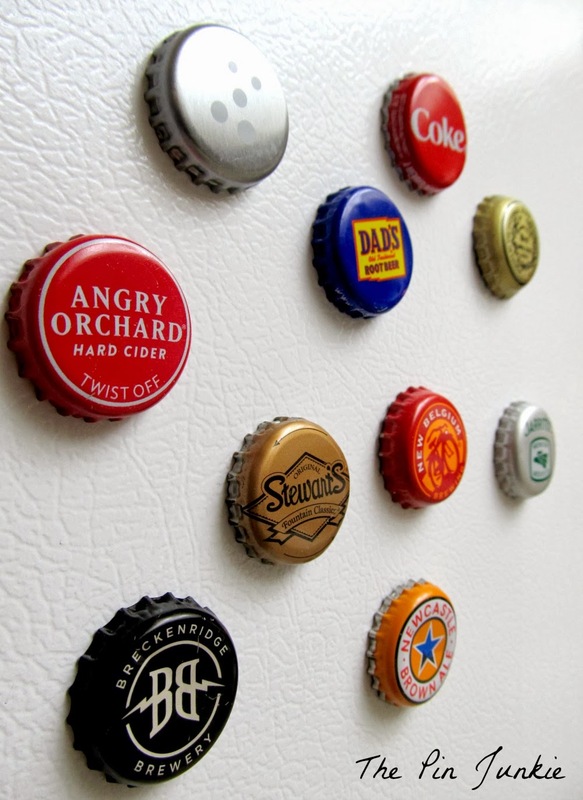 Turn old bottle caps into fun refrigerator magnets. All you need are some bottle caps, glue, and magnets. Just glue the magnets on the back of the bottle caps. Yeah, it's that easy! You can use any kind of bottle caps. 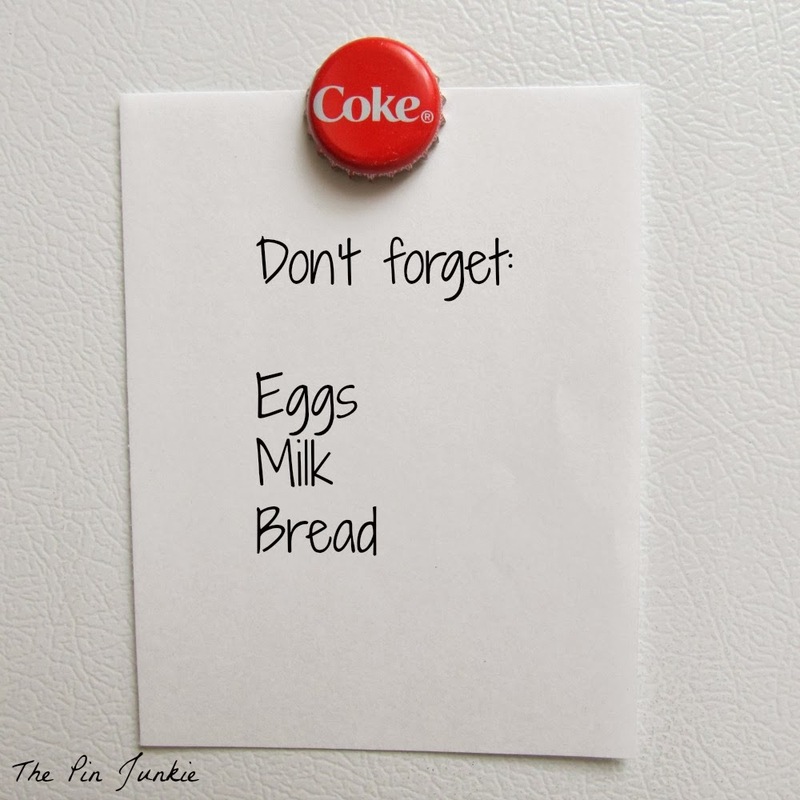 The more variation you have, the more colorful and fun they look on the refrigerator. Aren't they great? They make me happy! 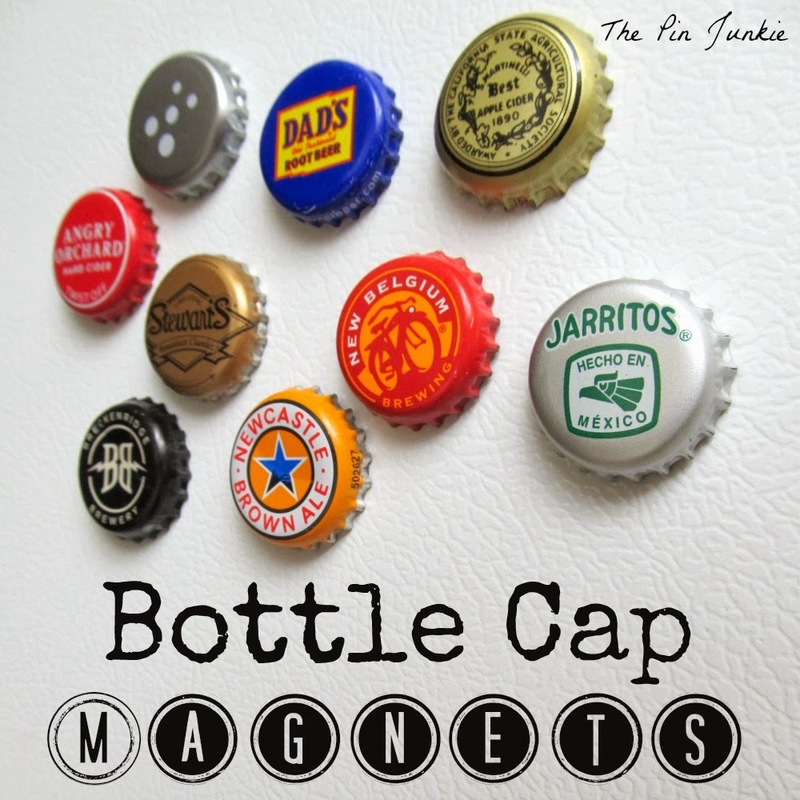 Inspired by this pin for bottle cap magnets. These are great! My husband works for a beer company and these would be fun to give out at events. Thanks! So simple, even I could do it! These are super cute. I love how they look and how simple they are, I'm going to have to start saving my bottle caps! Love this idea! Your beer magnets caught my eye over at the Junkin Joe Party. I have been collecting beer bottle caps for a while in hopes to craft with them. I have quite the collection. Some of these would look great on my brother-in-laws' beer fridge, or for my husband on his tool chest. Thanks Sinea! My son likes the glass bottles better too. Saw your link at Sewlicious Home Decor Saturday Showcase. 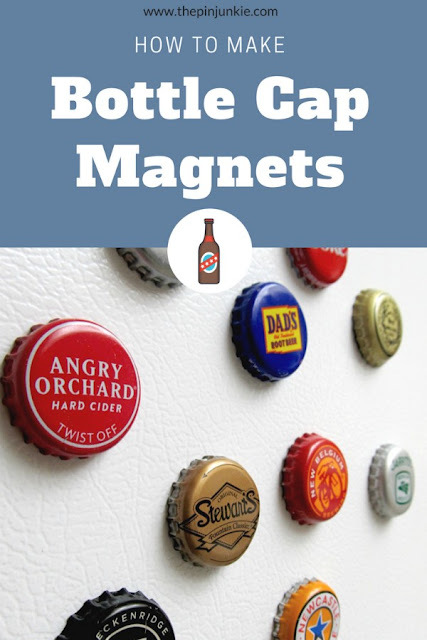 Love the Bottle Cap Magnets. Cute! Love this idea, and your caps! I'll have to get more creative in my beverage choices so I can get a nice collection going. Love them! Thanks for sharing with us! What a fun and easy upcycle project, which is right up my alley! Thanks for sharing at The Makers! I have so many bottle caps that we've been saving. I have been meaning to make some of them magnets. Love these! What a great way to repurpose and so simple and handy! Thanks for sharing at All Things Pretty! I keep all of ours and was wondering what to do with them. I'm doing this with some of my favs. Followed your link from Domestic Superhero because these were just too sweet to pass up. I've been looking for something unique to do for the magnet board I'm making for our garage, and I think something like this will be just perfect. Now I need to start collecting bottle caps! These are really cute! Thanks for sharing a fun idea! Simple, colorful and fun! Thanks for linking up to the Weekend re-Treat Link Party! These are so FUN!!!! THanks for sharing on DIY Sunday Showcase!! Great idea! How come mine never look this nice after taking off the cap?? Maybe I need to be more careful with the bottle opener ... or buy twist offs! These stood out to me at DIY Sunday Showcase! Thanks so much for sharing!! Have a great week! These are so super cute. So glad to feature them at Think Tank Thursday. Thanks for stopping by already and linking up! Very cute. These bottle caps make your refrigerator pop! Thanks for linking up to Countdown in Style. Boy, your work are really great. You are very creative. Thanks for this idea. Everyone has magnets and these are perfect for everyone! love it. Gotta love your choices of tops. I need to do this too! I like pinterest too! You can check out my boards if you want some more ideas: https://www.pinterest.com/kelleymertig/. I have a growing collection of bottle caps I want to turn into magnets. Would you mind sharing which size magnets (especially thickness) you used?